7 But is Wear actually useful yet? 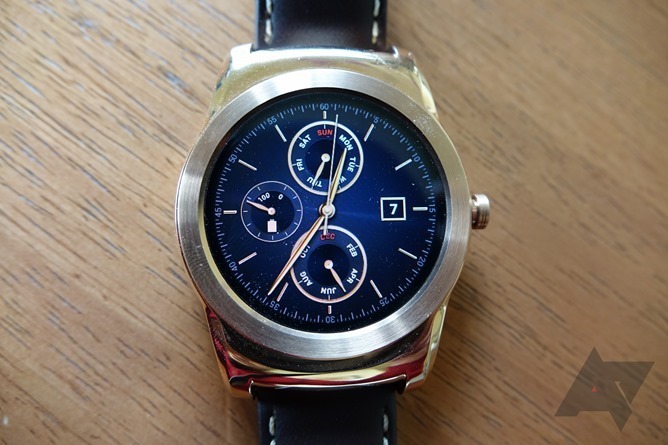 LG's newest smartwatch, the LG Watch Urbane, costs $350. So let me just throw it out there now: judging LG's new Watch Urbane from a value perspective is sort of completely silly. When it comes to value, I don't think any Android Wear watch has especially great appeal - after all, you're paying as much or more for one than you would a relatively inexpensive smartphone, a smartphone that does many, many more things. But the Watch Urbane has even less value appeal than most Wear devices (not that this is at all fatal to its success as a product). If you really care about value, the Sony SmartWatch 3 with its Wi-Fi, GPS, and NFC are right here for $100 less than the Watch Urbane (if not less than that if you get it on sale). That watch does more, it displays text more readably (both because of display size and shape), and by all accounts gets great battery life with its outdoor-friendly transflective LCD. It has the same Qualcomm chipset. It is, objectively, a more functional piece of hardware. But then you look at the Moto 360. 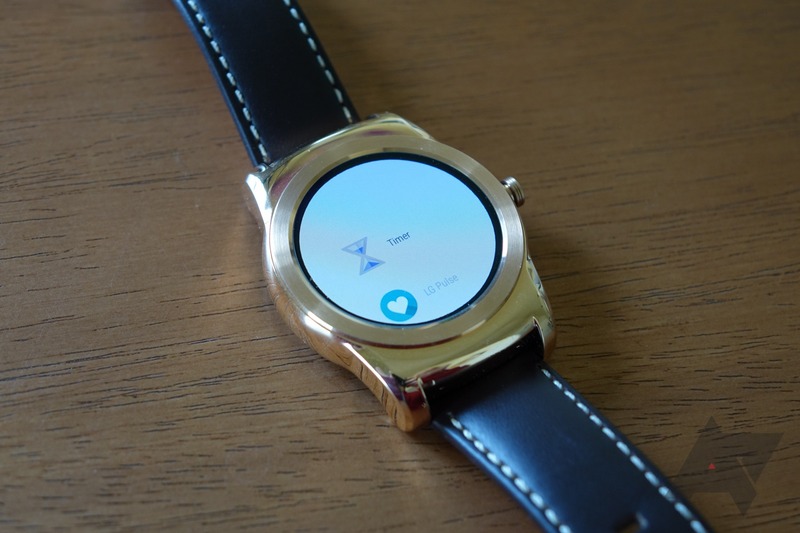 I think it's safe to assume that the Moto 360 is probably still the most popular Wear device out there. It has among the worst battery life of any Wear device, a circular LCD with a "flat tire," and is even a bit slower than other Wear devices thanks to its TI processor. Yet, there's little denying that its minimalist, Braun-esque design is very striking. And even if you don't like it, you can at least recognize you're in a minority there. 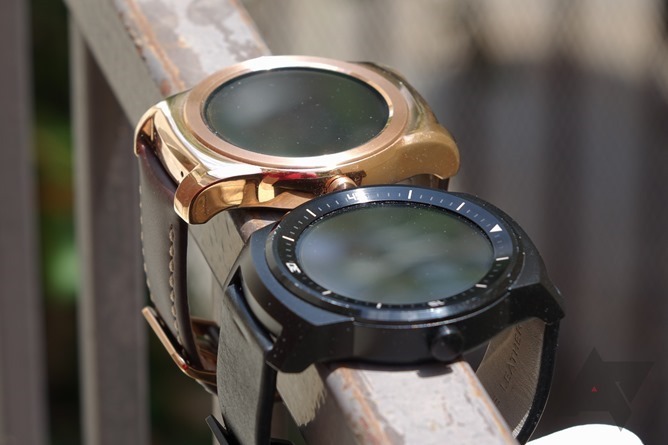 Similarly, stylized smartwatches like the Asus ZenWatch and LG's G Watch R have generally received a lot of interest, despite being demonstrably less functional or otherwise inferior to their competitors in some respects. Why? Because they're fashion-forward, as opposed to staunchly utilitarian (G Watch, Smartwatch 3) or... weird (Gear Live). This is what makes smartwatches a bit strange compared to smartphones - the decision to buy one is fraught with personal judgment and subjective taste. Aesthetics may well be the foremost consideration for most people during the buying process, something that is considerably less frequently true when purchasing a smartphone. So, this is why the Watch Urbane exists: to look pretty. To feel nicer. To be more fashionable. That's not to say it's completely unimproved functionally over the G Watch R it is based upon, but most of the changes are merely iterative in nature. With all that in mind, let's get into it. Really, really nice The Watch Urbane feels just as nice as it looks - nicer even, perhaps. 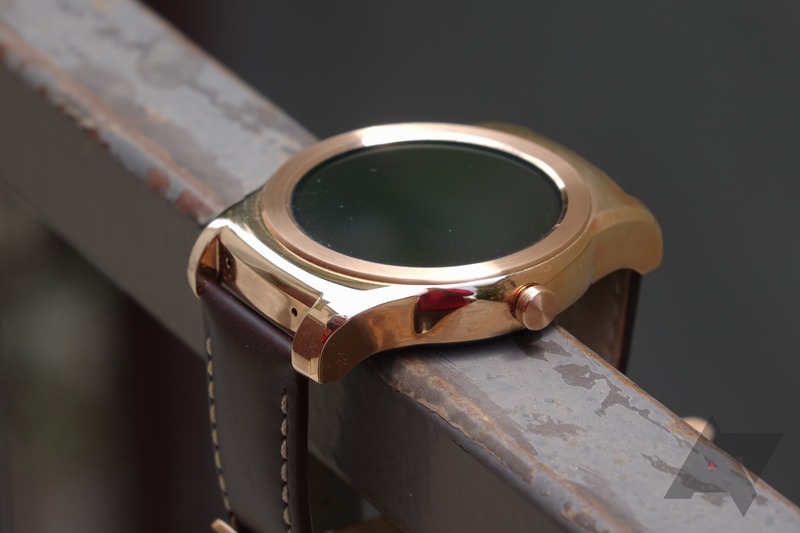 The polished body is gorgeous, and the subtle design changes make it a much more elegant piece than the G Watch R.
Wear 5.1 Android Wear 5.1 adds some new features and overhauls the Wear UI in a few areas, but it also just feels faster and smoother. There are a lot of improvements here. The screen is still good While it's a bit on the small side, LG's P-OLED display still delivers great battery life even with ambient mode turned on, and has great contrast with very low black levels. Wi-Fi While it's just a secondary connectivity mode for now, Wi-Fi could be used in Wear for other purposes in future updates - it's nice to know you have it, at least. Round screens are still a mixed bag A smaller standard font size and font size options (new in Wear 5.1) make a significant difference compared to the G Watch R, but rectangular text layouts on a circular screen are a difficult pitfall to avoid unless you make the screen really big. $350 It's the most expensive Wear device you can buy right now. You're not paying for extra features, you're paying for premium design and materials - the Urbane will not appeal to you if your major concern in a smartwatch is value for money. No GPS The Smartwatch 3 has it, and yet nobody else seems interested. For the price, this might have been a feature worth cramming in there, but my guess is LG sees GPS as a "fitness" feature, and the Urbane is not a "fitness" oriented smartwatch. It also means adding another antenna. Still a smartwatch While I'd certainly expect some smartwatch fans to disagree with me, for most of us, a smartwatch does nothing of real, meaningful consequence that our smartphone can't. Wear still lacks that "killer feature" to make these devices indispensable to our daily routines. 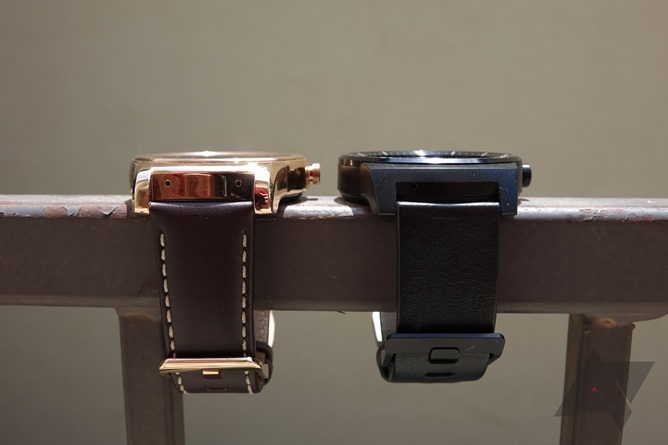 With pictures on the internet, especially press renders, it is very easy to look at the Watch Urbane and G Watch R side by side and say "so, the Urbane is a gold or silver G Watch R. Got it." In a very basic sense, this is true, but the design has been refined significantly on the Urbane in both aesthetic and functional respects. The body of the watch has the same basic layout, but many of the Watch R's hard edges have been beveled or otherwise rounded out. The smooth, uniform texture of the polished metal along with the gentler shape of the watch give it a jewelry-like quality not totally dissimilar from the stainless steel Apple Watch. The body really does feel more expensive than you'd expect, with the smooth finish and more refined, less noticeable bezel around the display. But the Urbane's design (ie, a circle) is firmly rooted in the luxury wristwatch world - although it feels substantially less so than the Watch R, it is still kind of a caricature of a fancy luxury timepiece. The Watch Urbane is far more classically influenced - the difference really did surprise me once I saw it in person. The rose gold version, in particular, has a bit of a vintage feel to it for me. While the size and girth make it unmistakable as anything but modern, I can't shake that, sans real gauges, this looks like it could easily be a real watch. LG seems well aware of this, and has removed all of the more abstract watch faces it introduced on the G Watch and G Watch R from the Urbane. 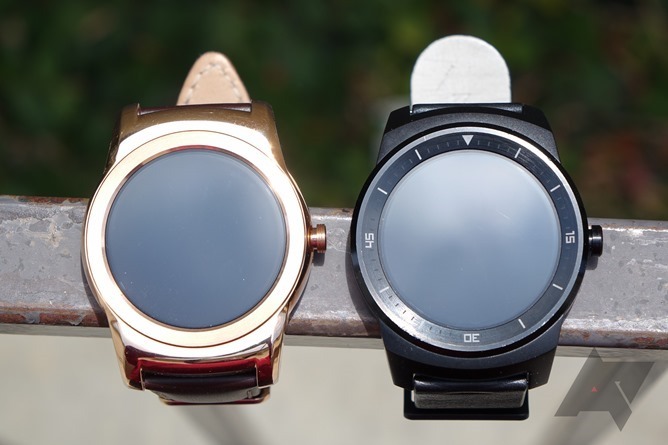 Apart from those which are included as part of Android Wear, all of the Urbane's watch faces are analog style. I'm actually going to talk about the faces here, because really, the stock watch faces aren't about function - they're about design. The Watch Urbane introduces five new watch faces, but realistically, it's more like three - two are just color variants. I definitely prefer the one the rose gold Urbane ships with: gold Chronos, pictured below. There's a silver version of this face, as well (I'm guessing it's the silver watch's standard face). There's also the Chairman design in gold and silver, which I'm not personally a fan of, and the new "daily" face that pulls calendar data from your phone and color-codes along the tick marks for times where you have scheduled events. It's neat, but honestly, the way it presents information is kind of useless in most situations, and otherwise annoying when you don't want this kind of stuff on your watch. Maybe calendar addicts will get some use out of it, but I just found it to be visual clutter 99.99% of the time. The new stock band on the Watch Urbane is certainly a little more styled than the one on the Watch R, but I'm not convinced the quality is any better. The leather is still stiff, and the quality of the coloring doesn't seem especially good. But it has stitching now! So that's good. The band itself is narrower and the clasp at the bottom is smaller, matching the finish of the rose gold body. Size-wise, it's just like the Watch R, and it weighs about the same, too. This is the same P-OLED from the G Watch R - no changes were made. It's decent in sunlight, great in low-light, and even looks really good in ambient mode. The low power consumption is nice, too - if LG could just get an ambient light sensor and reduce the reflectance, I'd struggle to find much wrong with it. Using the display feels very different on the Watch Urbane than the G Watch R, though, and it even looks a bit different - but how can that be if they're the same? 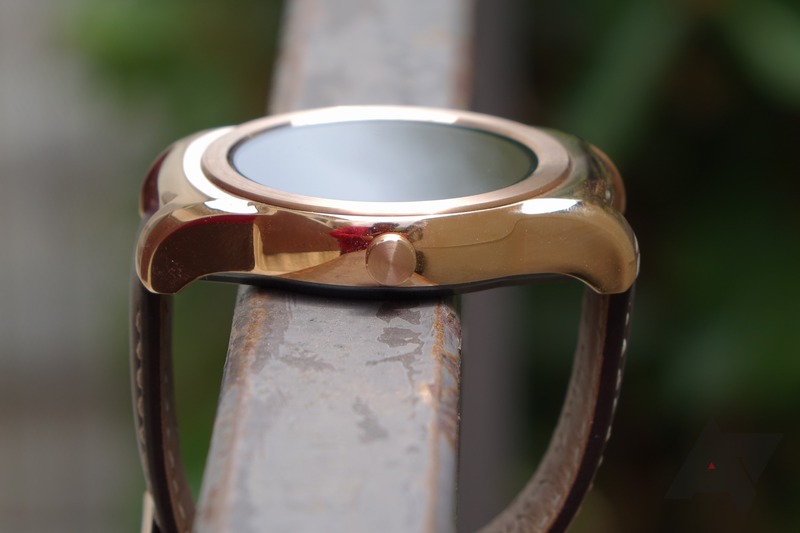 The G Watch R's bezel, which angled upward as it moved away from the display, made some gestures like swiping to the edge of the screen quite difficult at times. It also gave the screen a recessed, unrefined look compared to the rest of the watch - like it didn't quite in there, somehow. 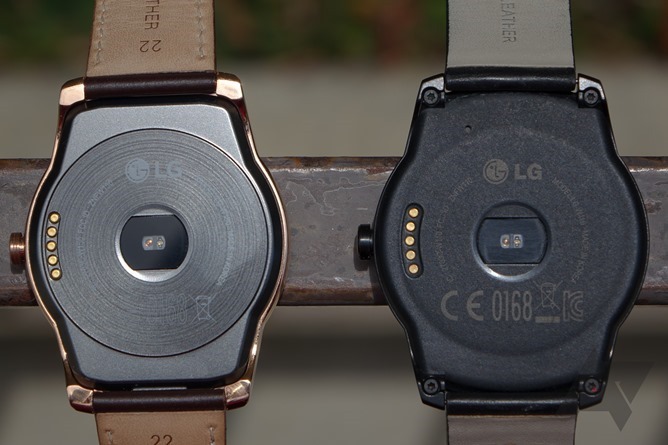 LG flattened out the bezel on the Watch Urbane, reduced its size, and maybe even pushed up the display a little higher. 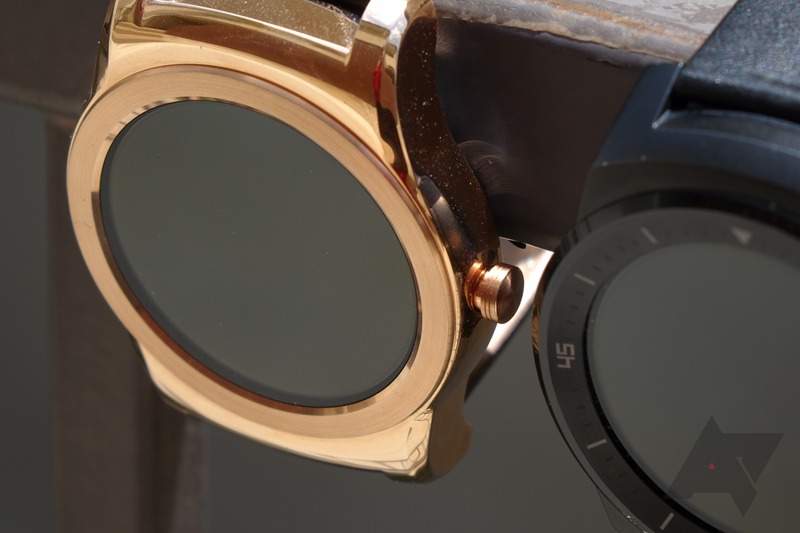 The result is that on the Urbane, the display sits just a fraction of a millimeter below the bezel, and it really does make the screen "pop" out against the watch much more. I know it sounds trivial, but it really does make the display, and the watch as a whole, look a lot better. I'm going to have to pull a cop out on this section: it's been inconsistent, and that may not even be the watch's fault. I've had it paired to a G4 on preproduction software since I got it last week, and while some days it's been fine - lasting upwards of 48 hours - I've also had issues where it's run through 40% of the battery in a single afternoon. The fact that I've had it go days without any problem at all leads me to believe this is just a bug of some kind, and hopefully that it will get fixed. I will say that my G Watch R also paired to the same phone has not had any battery life issues, though I haven't been wearing it. As such, I'm going to reserve completing this section for a later date. I'm cautiously optimistic the Urbane gets basically the same great battery life the Watch R did, but if I keep having problems, I may have to investigate this further. On a related note: the charging cradle is just like the one on the G Watch R (not that they're cross-compatible) - pogo pins and magnets. It works. I'm not going to go full in-depth with Android Wear 5.1 in this review, but I will provide a summary of my thoughts on improvements over the current 5.0.2 software on the G Watch R.
There are real, significant improvements in the UI design - text in cards now features more prominent bolding and coloring for some apps, and someone at LG or Google finally realized they could use a smaller font and greatly improve information density (and effectively smooth the font). The pull-down shade for notification settings has received a restyling that makes it feel a bit more like Android's own notification shade. There's also the whole new activity launcher, which is actually a pretty big deal. Tapping anywhere on the watch face on a wear device no longer just initiates the action interface (for voice commands or an action on the list). Instead, you get the activity launcher, which consists of three panes - an "app" launcher, your favorite contacts, and a final pane with the old voice and action interface. The launcher pane contains a list of all the apps on your watch that can be launched into standalone interfaces. This means stock experiences like the timer, stopwatch, alarm, calendar agenda, and settings, but also 3rd party apps like Amazon, LG Call (unique to the Watch Urbane for now), and Lyft. Consider this a sort of proto-"app-drawer" - Google's never going to call it that, and I have no idea how a scrollable single column list is going to be usable when you have 50 watch apps installed one day, but from this we will see the evolution of how you launch apps on Wear. Right now, frankly, it's pretty annoying to use - scrolling through a list of icons on a tiny circular screen can be slightly maddening, and it's easy to accidentally launch the wrong app or overscroll. Still, this was needed. The favorites pane is a list of your favorite contacts, and you can text, call, or email them when you tap on their respective circle. 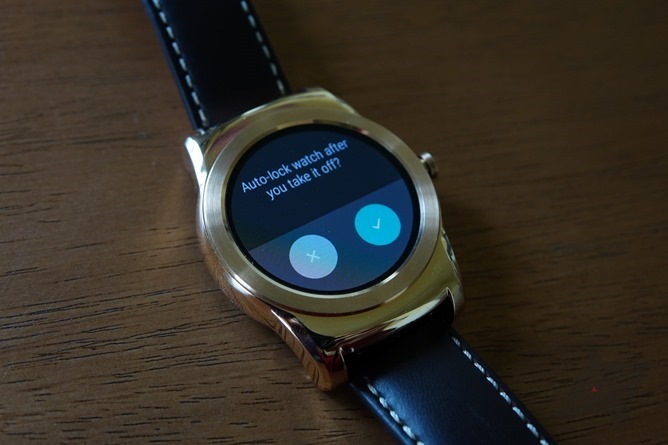 The final pane is the same old actions menu from pre-5.1 Android Wear. The "OK Google" text prompt when the watch is awake has been removed, because honestly, no one is going to forget how that works once they've done it - the text was superfluous. There is finally, thankfully, a font size setting in Wear, too - it's in the settings app. And if you need a visual aid when using your watch, there's an option to enable a triple-tap-to-zoom gesture under the new accessibility menu. The watch lock screen seems largely pointless (I'm sure someone feels the need to lock their smartwatch, though), and I couldn't get the wrist detection lock to work even leaving the watch off my wrist for 10 minutes, sitting still on a table - it just wouldn't lock. The lock is pattern-only, by the way, and that's not the easiest thing on a circular screen, especially one as small as the Watch Urbane's. The new flick-to-scroll gesture strikes me as deeply unnatural and difficult to use - it just doesn't work for me. Your mileage may vary. Even if it did work, you'd look pretty weird using it - you have to give the watch a decent jolt to get it to scroll. Using your finger may mean smudges, and this will work in a pinch if your hands are wet, but I turned it off after days of attempting to integrate it into typical smartwatch usage. Wi-Fi mode works, and you can read about it in our overview post here. Basically, it's just like Bluetooth mode. Your paired phone still needs to connect to the watch, it just does so over the internet instead of Bluetooth. It doesn't make your Wear device operate independent of the paired smartphone, it just talks to it over the internet. Even connecting to Wi-Fi on the watch requires your phone to enter the network password, so keep that in mind if you plan on using this feature (though the watch should already know your saved networks). To be clear: the connected phone doesn't need to be on Wi-Fi for this to work - it just needs an internet connection, so even mobile data is fine. The watch just uses Wi-Fi to connect to the phone wherever it is. 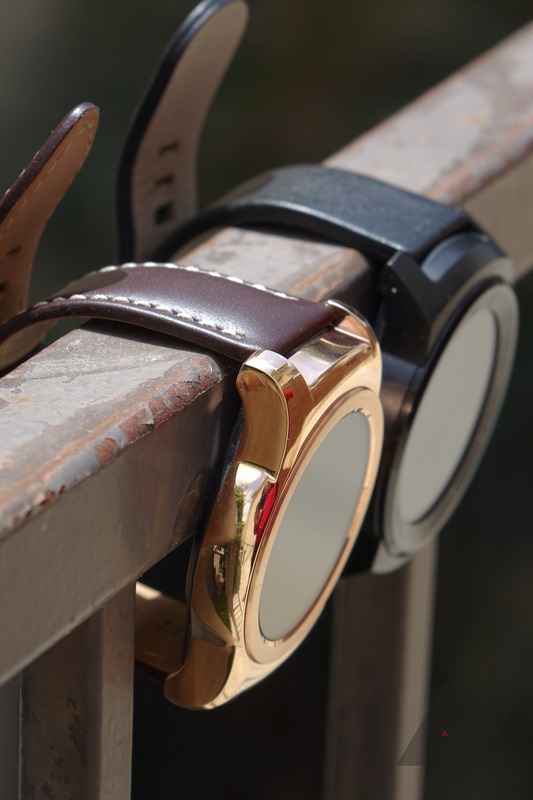 If the phone doesn't have a data connection or is turned off, the Wear device will only be able to do local (no voice) operations like the timer or stopwatch - being on Wi-Fi doesn't make the watch a "standalone" device. Overall, Android Wear 5.1 feels faster, smoother, and just looks better than 5.0 - this is actually a pretty big update for the platform. I think Wear 5.0 was about getting the back-end of the operating system ready for all the new stuff Google is working on design-wise for wearables, and 5.1 is a more complete look at that picture. With another version of Android getting announced at I/O, I won't be surprised if we see Wear continue to visually evolve as the year goes on - this is still a very young operating system (Wear, not Android), after all. But is Wear actually useful yet? 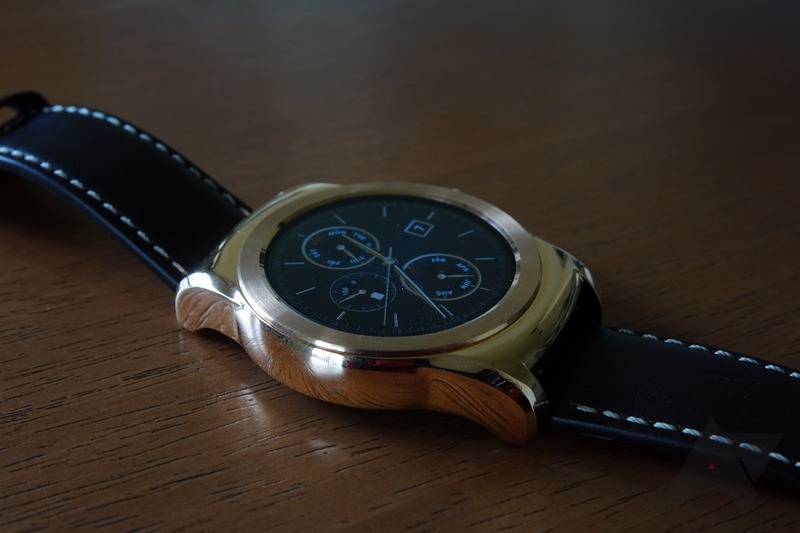 So, is Wear any more useful today than when I reviewed the G Watch R over six months ago? I think the answer is yes: Wear has fewer bugs, more features, a UI that continues to benefit from additional refinements, and growing third party app support. For a lot of people, there's probably going to be something at least remotely interesting about Wear. For me, it's managing emails and messages. Don't want to read that work email while I'm in the middle of typing up an article or otherwise engaged? Quickly skim the subject on the watch, and dismiss or archive it. I've even started using the voice replies for SMS and Hangouts when I'm in my own home (frankly, it weirds me out voice messaging somebody on my watch in public for some reason??? ), because it's less disruptive than pulling out my phone, unlocking it, opening the app, and typing out a reply. It's also great for quick Google searches, turn-by-turn navigation (especially when you're walking), music controls, and activity tracking. Of course, our smartphones do most of this stuff, too, so I'm not about to claim there's actually a compelling economic argument for smartwatches yet - there isn't. There is nothing they do that is going to be so indispensible to the average person that it will simply be a matter of getting them to choose which one they want to buy. We're not even close to that being a thing. But we are at a point where a smartwatch can be a genuinely useful way to augment owning a smartphone. As long as it works. But Wear doesn't always work. Having to repeat my voice commands (the infamous hang followed by an "offline" splash on the first voice command after a while), the exceptional glitchiness of many third party apps, the time voice commands take to process, or the wake-up gesture not working - these aren't minor usability issues. They can be major frustrations on a product whose very purpose is to simplify your life and make you spend less time staring at a screen. By the time I wake up the watch, say OK Google, wait for the listening mode to start, say my query, wait for it to transcribe, then wait for the result to appear on the watch, in many cases I could have done the same thing on my phone in roughly the same amount of time. This is true of other tasks, too, like music controls - it takes me just as long to swipe up the music card, swipe left, and then hit the next track button as it would to pull out my phone and do it from the lockscreen. I think these things can be improved - some are just technical performance issues that no doubt will get better over time. Some are bugs that, hopefully, will get fixed. Others will need more conceptual problem-solving. Personally, I wear an Android Wear watch almost every day, even when working at my desk at home, and I have come to really enjoy it in some respects. But there are days where I forget to wear it, or when I wear it and just don't end up using it for much. The only thing really bringing me back to it consistently is the fascination with the concept - I am genuinely curious to see if smartwatches catch on, and in learning how using one changes my smartphone usage. With Android Wear 5.1, Wear is more functional and polished than ever... but for all the times it is useful, there are far many more times when it just feels like gadgetry for gadgetry's sake. Even as someone heavily invested in the Google ecosystem, a Wear device can feel a bit devoid of purpose sitting there on your wrist some days. But with the parade of Apple Watch apps coming out now, I'm guessing Wear's third party ecosystem is about to grow substantially, so that's something to [potentially] look forward to. The Watch Urbane is, in my utterly subjective opinion, the best-looking Wear device yet announced. The Huawei Watch and Moto 360 also look nice, but the Huawei Watch simply is too generic "steel luxury watch" for me, and while the 360 is definitely quite stylish with the right face, I've never been a huge fan of the Braun look. The Watch Urbane splits the difference - it doesn't try to be an exact copy of an ornate luxury wristwatch, but it also doesn't look especially futuristic or stark like the 360. Combine that with good battery life (minus the hiccups I've had) and a display that works very well in the smartwatch form factor (that's now easier to swipe), and the Watch Urbane does manage to differentiate itself from at least some of its competitors functionally. 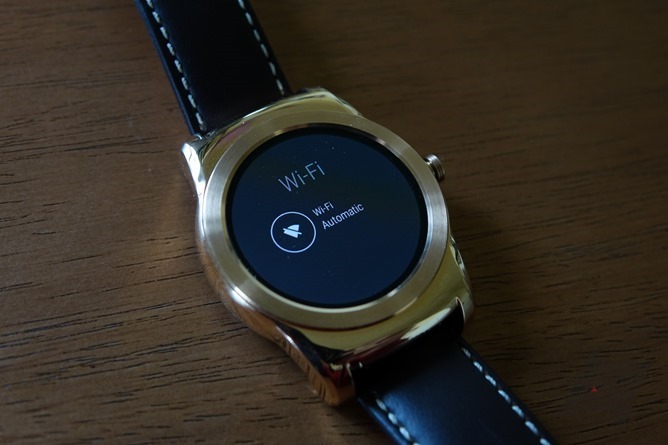 But that's about where it stops - Wi-Fi also will work on the Moto 360 and Sony Smartwatch 3, and the Watch Urbane lacks the latter's GPS module. And that gets us back to the utility argument: on paper, the Watch Urbane clearly isn't going to best every other Wear device for features or functionality (not that it loses by much), despite being the priciest one on sale. While it is certainly of a seemingly much nicer quality, the price means it's relegated to a group of buyers willing to pay for materials and design over strict functional value. For those buyers, I think the Watch Urbane is a good proposition. 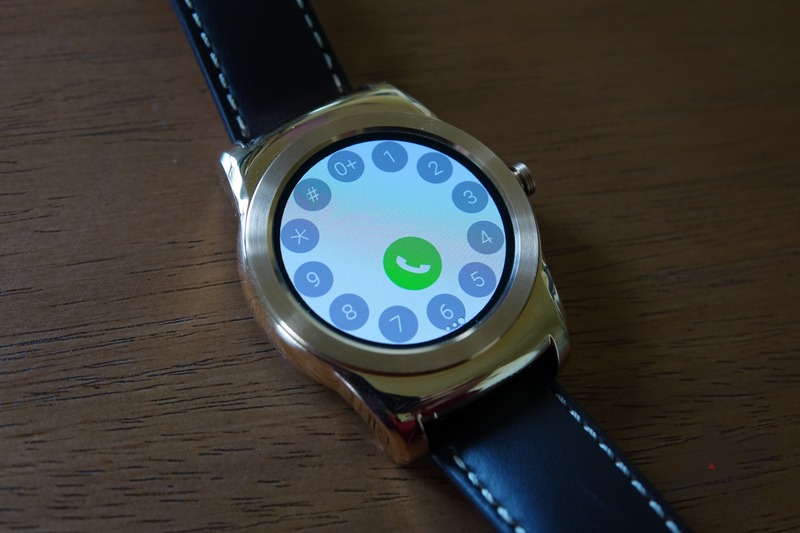 It definitely feels like a premium product - I'd even go so far as to say it makes the G Watch R look and feel cheap. Combined with the usability improvements in Android Wear 5.1, the Watch Urbane is the most mature Android Wear product yet, even if Wear itself still seems far from finished.